Miniveyor Products Ltd, manufacturers of the world famous Miniveyor™ portable conveyor system, has been awarded a substantial contract to supply the tunnel conveying solution to Group Five Construction of Dubai for their two-year project, known as the Passenger Railway Station Box at the New Doha International Airport (NDIA) in Doha. 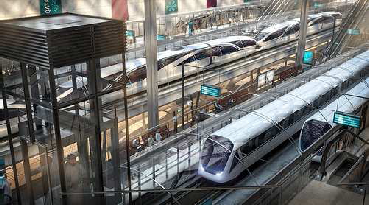 connect the new $11 Bn (USD) International Airport to rail stations in central Doha. Group Five Construction, a joint venture between Group Five of South Africa and Al-Naboodah Contracting of Dubai, were awarded the QAR 400 Million contract in January 2010.